I have stolen sugar cubes from restaurants infinite times, right from my childhood. Somehow, I still do. Nothing else. 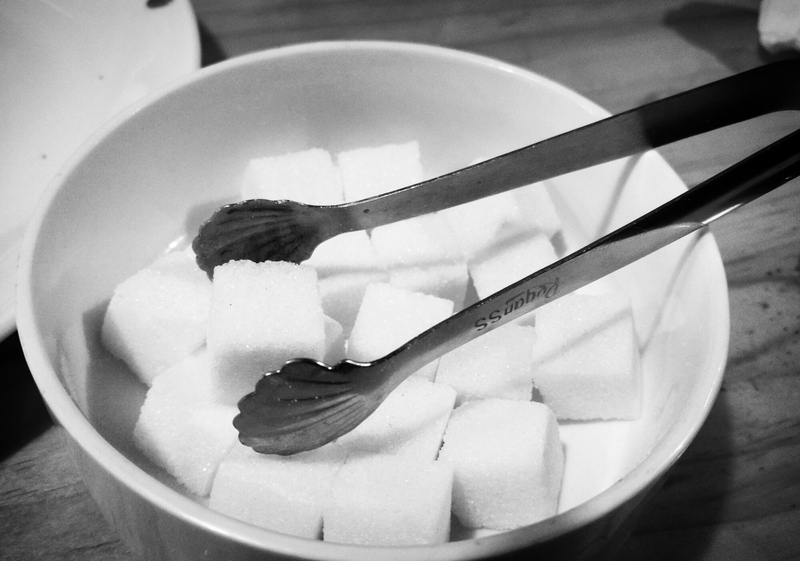 Just sugar cubes. Don’t ask me why. I just do. I was just rummaging through some old files when I found this picture. Reading posts all over WordPress about childhood made me nostalgic I guess! So here’s one more post to my Childhood Diary. That’s a handful of what we call Marthankali down here in Kerala. Wiki tells me its called the Black Nightshade apparently. But for me it has been and always will be Marthankali! I must tell you that I spent the first three years of my life at my maternal grandmother’s home. This was owing to the fact that my parents were working in Cochin and they did not want their infant to be raised in a city breeding pollution. My grandmother’s place was also our ancestral home. It was an old yet beautiful house (lets say fifty years or more) with a tiled roof situated in the middle of an estate spanning roughly three to four acres of land. We even had a cow-shed and three cows plus their calves back then. Coming back to the Marthankali, I have faint memories of how Thaathi (Tamil for Grandmother) used to take me for walks around the estate. I would hang onto the pallu of her saree and trot along while she hobbled around inspecting mango trees, plantains, her vegetable garden and what not. Depending on my nap time and Thaathi’s schedule, sometimes we would take two or three walks in the estate. My favorite part of the walk was when we would come to the areas of the estate where the Marthankali plants grew. They belong to the herb category of plants I think (if my bio is right) and Thaathi would always cut them to a certain height least the garden became a jungle. This meant that I could help myself to pluck and eat as many berries as I wanted at my own leisure. I would stand in the middle (I was about two feet tall then) surrounded by Marthankali plants and choose the ripest black berries and eat them. While Thaathi expertly picked out a handful and held them out to me, I would fend only for myself; picking and eating one berry at a time. This memory does not pertain solely to my childhood. As teenagers, my cousins and I crashed Thaathi‘s place for summer vacations. Though we climbed mango trees and Jambakka trees all the time, going for walks around the property hunting for Marthankali was a tradition we enjoyed. Yeah, it was kind of like a family thing. Even now, when I visit Thaathi we try and find time to go pluck Marthankali. Usually this absolutely adorable lady (whom I call Thaathi) plucks them beforehand anticipating a shortage of time. I am not going to deny it, I love the fact that she does what she does! A handful of Marthankali pretty much makes my visit to Thaathi’s place complete. Forever and always! So.. that’s pretty much what I wanted to share with you guys! More to say later. Cheers!! The drive to my college takes about twenty minutes sans the traffic jams. This means Prasad Chettan and I have plenty of time to talk. And so, we have formed the habit of chatting and catching up on random things around us.